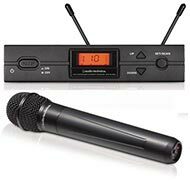 Good radio mic systems are complex to make and you should be in no doubt that you most certainly get what you pay for. Beware the cheap and cheerful systems out there selling for less than our offerings here. The lower the cost, the less reliable they tend to be. Hence we won't go near them. 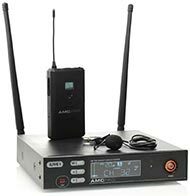 It is important that your recordings and presentations are of the highest quality and uninterrupted by noise or interference. So we've selected the appropriate grade of equipment to deliver this. Well-made, reliable products, fit for purpose. Ones that sound great too, and will give you many years of good, worry-free service. But without breaking the bank. 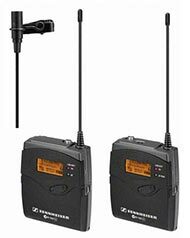 UHF Channel 70 spans the frequencies of 863-865MHz. 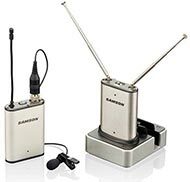 Only four frequencies within this spectrum can be used legally: Ch70-1 on 863.125MHz; Ch70-2 on 863.625MHz; Ch70-3 on 864.500MHz; and Ch70-4 on 864.875MHz. All are deregulated and free to use without a licence in the UK. 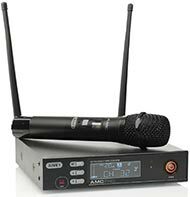 With most systems the frequency is fixed and you must specify your choice of Ch70 frequency when ordering. 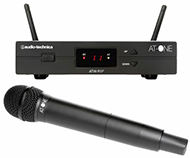 Only Audio-Technica's ATW-13F & ATW-11/PF systems enable the user to select the frequency manually. 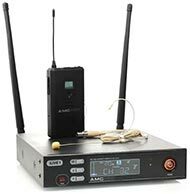 Unlike the two UHF channels above, both of which are specifically set aside for radio microphone usage, Wi-Fi Band radio mic systems operate on the same frequency as all other Wi-Fi devices, namely by using the worldwide Wi-Fi frequency which is 2.4GHz. Because of this they are entirely licence free. 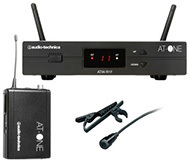 Such systems can work very well and sound very good indeed in low-to-normal use Wi-Fi environments. 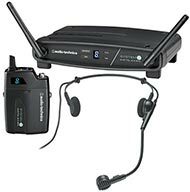 However, because they run on the same frequency as yours and everyone else's Wi-Fi networks, we advise caution if this type of system is intended for use in a highly intensive Wi-Fi environment. 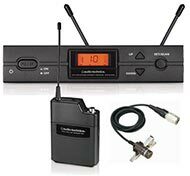 A fixed site licence* (or Co-Ordinated Licence) enables you to reserve a set of frequencies on the UHF band in your locality for your use and your use alone. What this means is that you buy the right to the sole use of one or more frequencies in your area and they cannot legally be used by anyone else in that area. 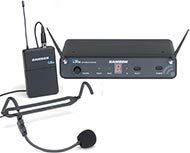 This is therefore the safest radio mic solution of all and is perfect for fixed venues like churches, schools and similar places in built-up areas and anywhere there is a stronger likelihood of other people using radio microphones as well as you. Low-cost licensing may be obtained from www.pmse.co.uk. Please see our note below. *This is the only type of system we do not sell online as it requires discussion. 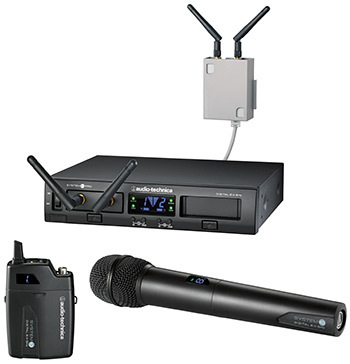 Please email or call us for this kind of system. Thank you. 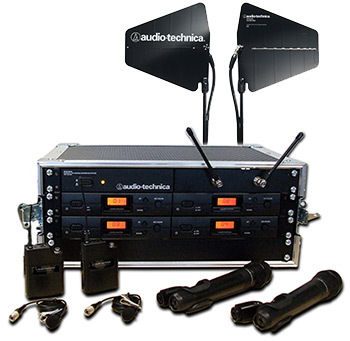 Audio-Technica Multi-Channel Systems with a Fixed Site Licence. 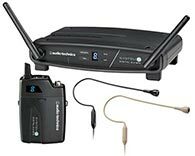 Tell us about your venue and let us design you a robust and reliable multi-channel system that will not suffer from interference from unwanted external radio signals. This is the only type of system we do not sell online as it requires discussion. Please email or call us for this kind of system. Thank you.